Best known for playing the Tall Man in the 1979 horror film Phantasm and its sequels, Angus Scrimm passed way on January 9, 2016, at the age of 89 in Los Angeles. In his long career he acted in numerous movies and won accolades for his spectacular performances. His absence will mean a lot to his fan and followers. 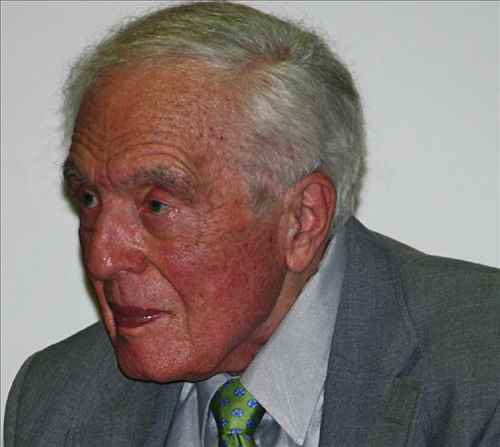 Scrimm was born Lawrence Rory Guy in Kansas City, Kansas. Before making his debut on big screen he worked as a journalist and wrote for TV Guide and the Los Angeles Herald Examiner. He studied theater at USC in Los Angeles. He wrote liner notes for Frank Sinatra and the Beatles including the album “Meet the Beatles.” Scrimm won a Grammy for his liner notes. After acting in few movies he attained fame by playing the terrifying “Tall Man” in the 1979 horror film Phantasm and its sequels. His appearances in horror movies including “Witches Brew” and “Scream Bloody Murder” further elevated his status. He played a recurring role as an SD-6 agent on the television series “Alias.” With imposing persona of 6 feet 4 inches (1.93 m) made his presence felt on the big screen.